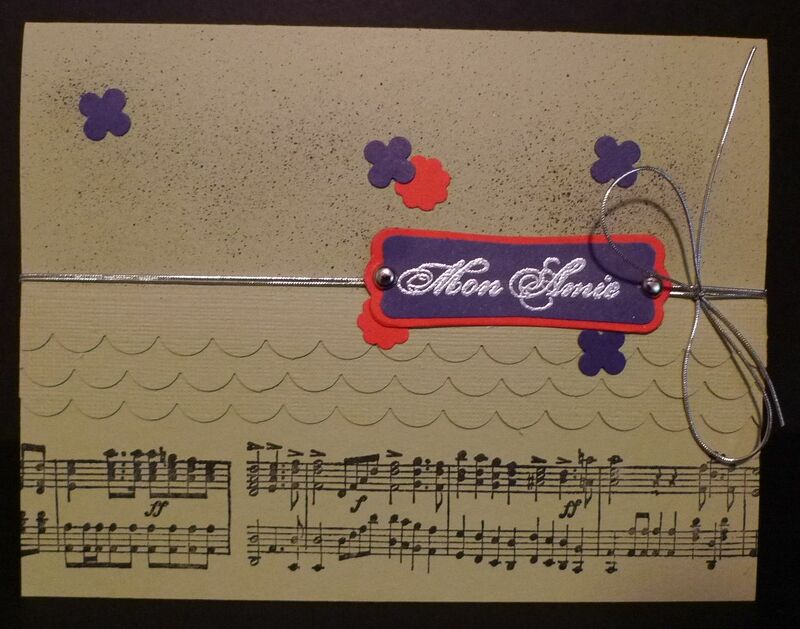 Karina's Kreations: Music Notes Wheel Card!!! Look at the beautiful card Kathleen made. I have lots of wheels and never use them. I love how she rolled the Music Notes Wheel across the bottom of the card. She used all In-Colors on her card. The colors are Pear Pizzazz, Poppy Parade and Concord Crush. 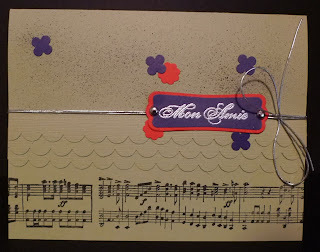 The top of the card was spritzed with a Black Stampin' Write Marker and the Color Spritzer tool.